This book glorifies the Vaishnava: it tells us of the necessity of Vaishnava association, how to recognize the Vaishnava, and how to serve the Vaishnava. The Heart of a Vaishnava reminds us of Krishna's words, "The worship of My devotee is greater than even the worship of Me." To the uninitiated, this is a puzzle, for Krishna also says, "The devotee is My heart and I am His." But here Swami B. P. Puri shows that without the association of devotees there is no Krishna. The Lord is present in this world through his devotees. If we want to find Krishna, we must look for him in the midst of Vaishnava association. 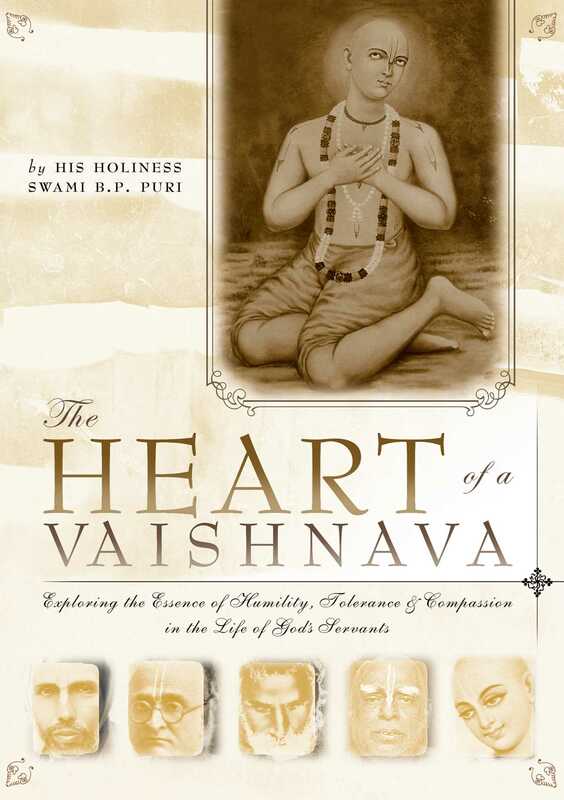 This book glorifies the Vaishnava: it tells us of the necessity of Vaishnava association, how to recognize the Vaishnava, and how to serve the Vaishnava.